1050 aluminum sheet alloy is formed by adding a small amount of copper element to pure aluminum, it has excellent forming characteristics, high corrosion resistance, good weldability and electrical conductivity. 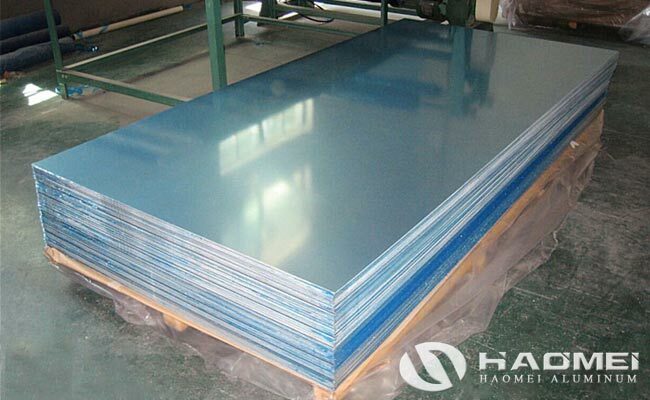 1050 aluminium sheet is widely used in products with low requirements on strength, such as chemical equipment, sheet metal processing parts, deep drawing or spinning concave vessels, welding parts, heat exchangers, clock surfaces and plates, nameplates, kitchen utensils, decorations, reflectors, etc. The chemical and mechanical properties of aluminum sheet 1050 are as follows. 1) Completely annealed: heated 390-430 °C; , the holding time 30 ~ 120min with the material of different thickness; 30 ~ 50 °C / h speed with the furnace to 300 °C, then air cooling. 2) Rapid annealing: Heating 350 ~ 370 °C; the holding time of 30 ~ 120min with the material of different thickness, empty or water-cooled. 3) Quenching and aging: quenching 500-510°C, air cooling; artificial aging 95-105°C for 3h, air cooling; natural aging 120h with room temperature.